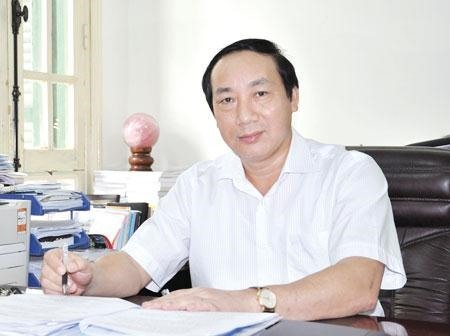 Nguyễn Hồng Trường, Deputy Transport Minister explains to chinhphu.vn (Government Portal) the financial workings of some BOT projects that have attracted public criticism. The State Audit Office of Vietnam (SAV) concluded recently that quite a few of 27 BOT projects that it audited should reduce their toll collection period by 5-7 years. Many people have blamed this on inaccurate calculations by the Ministry of Transport. How would you respond? I just want to clarify the procedures for calculating total investment for a BOT project. The MoT firstly assigns project management boards to come up with investment proposals, including a master plan and preliminary cost estimations of the project. The preliminary cost estimate covers two components: the construction budget and the reserved budget for inflation and interest on loans taken to invest in the project. Regarding the project construction value, I can say there are no differences in a BOT project and a project using the State budget. In both types of projects, the same norms are applied to calculate unit prices. According to the Ministry of Finance, the inflation rate is between 6-8 per cent for materials while the construction reserve value is about 5 per cent per annum. Regarding the interest rate, it is based on the calculation of the life circle of each project – about 15-20 per cent of the total money borrowed. That’s why the preliminary cost estimation of a BOT project is rather high. However, in calculating the toll fees for a BOT project, the MoT does not base them on the preliminary estimates. What we care about is the “actual financial settlement value”, because this has been reviewed and verified by authorised agencies. Until now, 70 per cent of the 27 BOT projects’ financing has been settled. A BOT contract also regulates that the time for collecting the toll is subjected to the actual volume of vehicles going through each toll gate. If the volume of vehicles increases over the 5 per cent of the previous estimation, the toll collecting years will be reduced and vice versa. That’s why following the recent audit of the SAV, most of the BOT projects have had to reduce their years of toll collection and only a few will increase this. Among the 27 BOT projects, most did not go through the bidding processs. Why? According to Government’s Decree 78/2007, the selection of investors is based on the proposal of the investor. The reason is very simple. At that time we wanted to have BOT projects, but no firm in the private investor expressed interest. So the Decree 78 allowed the investor to come up with a proposal and then an authorised agency, either the MoT or the Directorate for Roads of Việt Nam, would analyse it, check their financial capacity and other legal requirements, and take a decision. In addition, under the Government Decree 108, which was promulgated in 2006, a project would have to go through a bidding process if there are two or more tenders expressing interest in a project. In the 2013-15 period, the MoT put on its website more than 40 BOT projects, calling for expressions of interest from investors. However, the number of investors expressing their interest in the projects were fewer than those listed. So the MoT had no choice but to appoint contractors who were financially capable and experienced in the work they had to undertake. Can you explain the decision on 70km between toll gates in BOT projects? The installation of a toll gate on newly built BOT roads is regulated in the Ministry of Finance’s Circular 159/2013. It says there must be a distance of 70km between two toll gates. But, in fact, there are quite a few toll gates erected in some provinces under Circular 90/2004, which has different provisions. This is why quite a few people have complained about some toll gates being so close to each other. The projects have to make sure that the distance between each toll gate must be at least 70km. How do you respond to the complaint by many people that they say they travel just one kilometre on a toll road but have to pay for 30km? The finance ministry has come up with a solution for people travelling daily through the toll roads for short distances by issuing special passes, monthly, quarterly and annual. Of course, these tickets are about 60 per cent cheaper than the daily ticket. In the meantime, the MoT has submitted a proposal to the Prime Minister to grant special treatment to people living in communes next to the toll gates and people living in two adjacent districts. People living next to the toll shouldn’t have to pay any fee. Those who live in the two adjacent districts would enjoy 50 per cent off. When our proposal is approved by the PM, it will be applied nationwide.